A massage has so many benefits, most of all help you take charge of your health and well-being. Prenatal massage is a customized massage for the mom to be tailored to her specific needs and concerns. I use specially designed pillows called bolsters to position a woman comfortably on her side. This helps especially during the later stages of pregnancy. Lying on your side is often the most comfortable position. Prenatal massage is a good way to reduce stress, improve circulation, relieve muscle tension, and improve the quality of your sleep! Gift Certificates Available • Other services available upon request. Hi, I am a Licensed Board Certified Massage Therapist, CT license 007647. I graduated with a Certification in Massage Therapy, December 2012 from Connecticut Center for Massage Therapy in Westport with Dean’s List honors for my 4.0 GPA. I am still affiliated with CCMT by tutoring massage students in all areas of study. I have extensive training and continued education in Headache & Migraines Massage, Arthritis Massage, Prenatal Massage, Trigger Point Therapy, Joint Replacement Massage, Sports Massage, Oncology Cancer Massage, and Pediatric Cancer Massage. I am also a member of the American Massage Therapy Association. 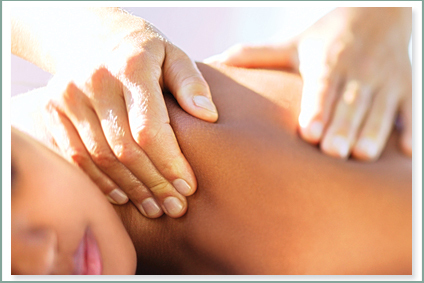 I love providing a customized therapeutic massage to each client based on their wants and needs. I specialize in Swedish massage, Deep tissue massage, Therapeutic massage, Prenatal massage, stretching and Sports massage. Massage therapy is my passion! It is an honor and privilege to help people to feel the best they can be. I believe massage Therapy treats the whole person (mind, body and spirit) and keeps us all balanced. Book an appointment today to receive your very own customized massage. Dorothy has been my massage therapist since 2014. She has a solid work ethic and truly cares for her clients. No matter how I am feeling when I go in for my scheduled appointment, I always leave feeling more relaxed and rejuvenated. Her kind and caring demeanor make her extremely approachable. I have always enjoyed massages throughout the years, but it wasn’t until my first session with Dorothy that I realized that not everyone knows what they are doing when it comes to massage therapy and how to cater to each individual. She is attentive and remembers her clients various issues, allowing her to better focus during each session. Since starting with my regularly scheduled session with Dorothy, I have recommended her to a number of friends. One of these friends was complaining about various aches and pains. I suggested going to see Dorothy for a session and her immediate response was, “No way! I hate people touching me.” After a bit of convincing, she hesitantly decided to schedule an appointment. Long story short, she has been going to see Dorothy every month, ever since. Not only that, but she has said to me on numerous occasions, “Dorothy is just wonderful! And so sweet!” I believe this speaks volumes to Dorothy character as well as to the mastery of her craft. If you have any aches and pains, I would highly recommend booking a session with Dorothy as soon as possible! I started seeing Dorothyann when I was pregnant with my first child over four years ago, and I don’t know what I would have done without her! From day one, she took time to ask the right questions to determine focus points, and try to make me feel like the best version of myself which can be hard especially in late pregnancy. You can tell that she genuinely cares about your well being, and that positive and healing energy translates into your massage. I’ve tried a lot of places for massages over the years until I met Dorothyann. She’s the absolute best! Dorothyann is a fantastic person and a massage therapist who really loves what she does and it comes out in her work. I have been going to her for the past 2.5+ years on a monthly basis. She knows how to address the problem areas and adds the great benefit of stretching to the session. I leave my sessionsenergized yet relaxed and always looking forward to the next month. I have been seeing Dorothyann for a year and a half now. 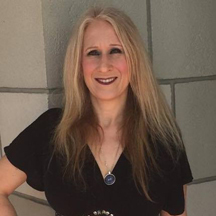 I’ve had numerous massages in various cities and hopped from therapist to therapist– until I met Dorothyann, she really is exceptional and beats the other therapists I’ve seen by a mile. She relieves the tight knots in my neck and shoulders caused by my desk job and aggravated by my horrible posture. You may look at this petite woman and think that she couldn’t possibly have the strength for some serious deep tissue work. Think again! Dorothyann has some impressive strength and can work sore muscles as good as any male therapist I’ve seen. Every session starts out with a discussion about symptoms and needs. She asks very pertinent questions to help determine the most effective treatment for her client’s pain. Then she customizes her technique to client needs. For me she incorporates gentle stretching with Deep pressure work on my knots. The moment I lie down on the massage table, I feel better. I look forward to each session because I know it’s like taking a vacation from the stress of everyday life. Dorothyann is friendly, professional, and her passion for her client’s well being is very apparent from the minute you talk to her. I am always referring her to my friends and family, and I cannot rave about her enough! Dorothyann is a wonderful massage therapist and just simply is the best! Working with a new massage therapist can be hit or miss. As soon as Dorothyann began her pre-massage consultation with me, I knew it was a hit. She asked the right questions to identify what I wanted from her treatment, what specific areas were trouble spots and where I would like her to concentrate. She repeats this with me before every session and remembers from one time to the next what worked in the past. She has a gift to “listen” to muscles. She employs different types of pressure and stretching so that each time I see her I leave in a better place than when I walked in the door. It’s never the same treatment twice – each time she responds with what will be most effective depending on what she learns from my body that day. As far as relaxation goes, she knows when to speak with me and when to create silence. It’s a true mind/body escape! I HAVE BEEN GETTING MASSAGES FOR MANY YEARS.TWO YEARS AGO I WAS FORTUNATE TO BE INTRODUCED TO DOROTHY. I CAN HONESTLY SAY THAT I HAVE NEVER EXPERIENCED A MASSAGE AT THE LEVEL THAT DOROTHYANN WORKS. HER KNOWLEDGE OF THE BODY AND CONCERN FOR HEALTH PUTS HER A STEP ABOVE THE REST. SHE ALWAYS CONCENTRATES,ON MEETING MY NEEDS IN EACH SESSION. I met Dorothy Ann Freifeld after my accident seven weeks ago. I had fallen down a flight of stairs, was hospitalized and have been recuperating at home since. Thanks to Dorothy Ann, I am able to walk again. Dorothy is extremely professional. She has carefully stretched those areas of my back and hips which were injured in the fall and carefully manipulated and strengthened my injured knee. She has given me yoga positions to try at home to help relax tightened muscles. I now have much greater range of motion in my arms and legs and have considerably less pain. I am feeling much better since I began these therapy sessions. I highly recommend Dorothy Ann. She is always prompt, professional, gentle and effective. I am very grateful to her for my recovery. I have been going to Dorothyann for massage therapy for a few months now for assistance with my migraines and it has helped tremendously. It is a wonderful addition to my other treatments and has greatly reduced the need for my rescue medication. It has also helped with stress reduction and tension related to daily life activities. I would highly recommend Dorothyann as a massage therapist. I had the extreme luxury while on vacation in the Sherman, CT area to get a massage by Dorothyann. What a blessing it was! Her work truly makes a difference because of her healing hands! And I appreciate all the work, information and feedback she gave me. I also deeply appreciate her unquestionable integrity, superlative massage therapy skills and expertise, and her sense of humor! She checks in with you, asks for feedback and is responsive in her methods of individualizing her care for you. Her knowledge shines through with gusto and she provided me with easy, “do at home” stretches to help ease my pain. I would be a regular with her if I lived close enough!